If you take Ping Pong seriously, like we do, you need to have a paddle just as serious. 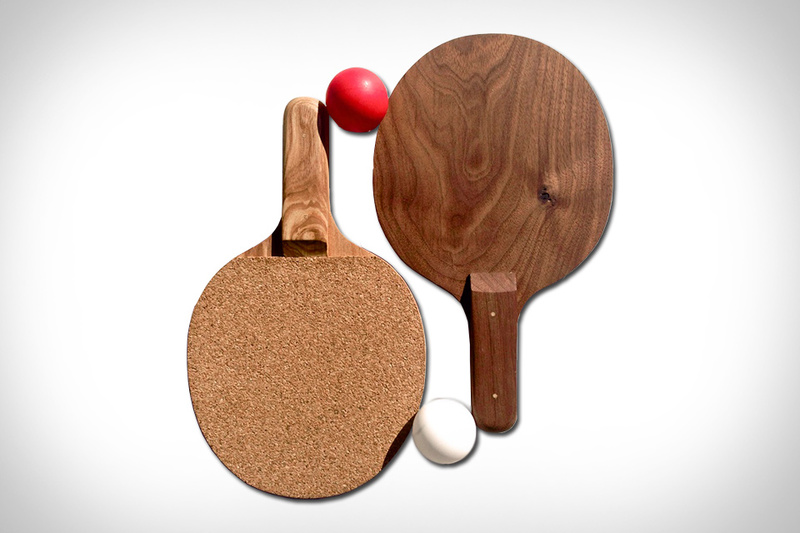 This Stangler Ping Pong Paddle fits the bill, regulation size and handcrafted to beat your opponent into submission. Choose from walnut or ash on one side, while the other side is faced with cork. It's time to open the garage door, let the spring air in, and re-ignite a grudge match on the Ping Pong table with this beautiful paddle. Measuring 11 and a half feet long yet surprisingly light, the Jarvis x No. 4 St. James Stand Up Paddle Board is an ideal way to take to the water this summer. This collab has an exterior finished in natural American cherry, cedar, and fir wood, but uses a recycled foam core to keep the weight around 30 pounds. The result is a board that's both fast and stable, ideal for beginners, capable enough for avid paddlers, and worthy of display when you're back on land. Smart devices are everywhere, and now they're becoming a vital part of the sports world as well. Zepp, a sports-tracking company teamed up with wood bat maker Old Hickory and created the Old Hickory x Zepp Smart Bat. It's not the first attempt to gather swing data, but it is the first one that features a tracker that is built-in, making it a true smart bat. The sensor is located in the knob of the bat and provides feedback during games and practices, all without having to remove it for data or to charge. Available for purchase in June, just in time for a run at the pennant. Bring a touch of street fashion to the course with the Nike Flyknit Chukka Golf Shoe. The first golfing shoe to use the lightweight, form-fitting upper, it also has Flywire technology for added support and improved lockdown, and a Nike Free-inspired sole that includes special traction units in the toe and heel. The upper is skinned in a thin layer of TPU for protection against light rain and dew, the mid-top silhouette helps to keep dirt and debris off your ankle, and the Phylon midsole offers all-day comfort. Available in two colorways. With an edge grain bamboo wood handle that enables a precision style grip, the Coconut Paddle isn't looking to simply improve your table tennis game, but change the way you play entirely. Thanks to a hole in the handle that lets you stick a finger through, the Coconut gives you a secure grip while ensuring that none of your fingers ends up on the playing surface, or worse, in contact with the ball. The core is made from blonde 3-ply bamboo wood, and each paddle is finished in Wisconsin with custom foam handle inserts that improve comfort and accommodate both right- and left-handed players, as well as a hand-cut and -applied black long pimpled rubber. Whether you're a frequent skier or just like to show off, Foil Oro Nero Gold Skis are the most ostentatious way to hit the slopes. The skis themselves are built using a topsheet of 8,000-year-old certified Bog Oak, with a graphite nanotech base, a core of Ash and Paulownia, bamboo sidewalls, and stainless steel edges. The high-performance bindings are plated in 14 karat gold, which matches the gold inlaid personalized initials that mark them as yours and the included bespoke 14 karat gold-plated poles. 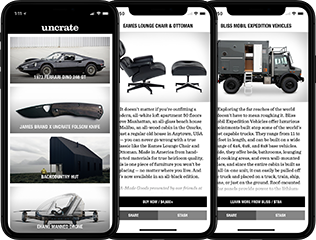 Customized for each client and available in limited quantities, they also come with a custom travel bag made from top-grain leather vegetable-tanned in Tuscany. With a unique design that distributes its weight evenly across its body, the Gripbell aims to replace your free weights while enabling new potential workout moves. The design is relatively flat, with a recycled cast iron core, polyurethane exterior, a circular center crossed by the central handle, and kettlebell-like extensions on either side. By stretching the weight out across the entire surface, it delivers intense workouts at lighter weights than traditional equipment, and since it has no hard, weighted points, it's also much safer should it slip out of your hand. Available in color-coded weights ranging from 3 to 12 lbs.